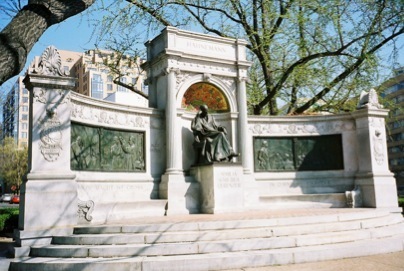 The Hahnemann Monument, erected in 1900 at Scott Circle in Washington, DC, is the only monument honoring a physician in our nation’s capitol. Homeopathic medicine is a system of medicine developed by Samuel Hahnemann, a German physician-chemist-linguist, more than 200 years ago. It is based on one principle of healing known as the Law of Similars. This principle has been known since the time of Hippocrates, but it was Hahnemann who conducted research and developed the implications of this principle into a system of medicine. What is the Law of Similars? The Law of Similars states that any substance in nature which can cause symptoms when given in a large dose to a healthy person can cure those same symptoms in a sick person when given in a highly-diluted and succussed homeopathic dose. A common example is the effect some people experience when cutting onions — eg, runny nose and watery eyes. Allium cepa is a homeopathic remedy made from the onion and it may be appropriate as a treatment for colds or allergies, if the totality of the symptoms of the patient matches the effects of the onion. What is the “minimum dose”? Because homeopathic remedies cause the very symptoms which they can also cure, administering the remedy in a crude (biochemical) dose often meant that the patient would experience a significant worsening of their symptoms even though they eventually got better. 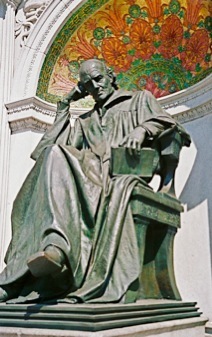 In order to minimize this aggravation of symptoms, Hahnemann began doing experiments in which he used smaller doses of the medicinal substance. He not only diluted the medicinal substance — somehow he developed the idea of succussing (vigorously shaking) the diluted medicinal substance, thus making what is known as a potentized remedy. Ironically, the more the medicinal substance is diluted and successed, the more powerful it becomes. Treating with the minimum dose means that the minimum dose which will have a healing effect should be used so as to avoid any worsening of the symptoms. What does it mean to treat with one remedy at a time? The goal of homeopathic medicine is to find the remedy which most closely matches the totality of the patient’s symptoms; thus, there can be only one remedy which is the best match for a patient at a particular point in time. It should be kept in mind that the totality of symptoms may change, thus leading to a change in the remedy. What does it means to treat the person, not the disease? In conventional medicine, diseases are treated with drugs directed at the particular disease. If a patient has multiple diseases, then they will most likely need multiple drugs, sometimes more than one drug for each disease. In homeopathic medicine, the selection of the remedy is based on the totality of the patient’s symptoms, not on a particular diagnosis. Two implications follow: 1) the same diagnosis (eg, headaches) in two patients may need to be treated with different homeopathic remedies because the totality of the symptoms differs for the patients, and 2) multiple diagnoses (headaches and an autoimmune disease) within the same patient may be treated with one remedy if a remedy can be found which matches the totality of the patient’s symptoms. What does it mean to say homeopathy is “natural”? Homeopathic remedies are made from natural substances of plant, animal or mineral origin. What is the legal status of homeopathy? Homeopathy was officially recognized under the 1938 Food Drug and Cosmetic Act, the 1965 Medicare Act, and the 1987 FDA Compliance Policy Guidelines. Homeopathic remedies are under the purview of the FDA and most remedies are classified as over-the-counter drugs. Is the preparation and manufacture of homeopathic remedies standardized? Yes, homeopathic remedies are made in accordance with regulations specified in the Homeopathic Pharmacopeia of the United States. Are there interactions between homeopathic remedies and conventional drugs or herbs? No. Because homeopathic remedies are prepared from extremely diluted substances, often with no molecules of the original substance remaining, there are no interactions with drugs or herbs. Can homeopathic remedies cause side-effects? The homeopathic remedy may initially exacerbate the patient’s symptoms. This reaction is called a homeopathic aggravation and is typically mild. Some patients who are particularly sensitive will be more likely to have an aggravation, while other patients never have aggravations. The chance of experiencing an aggravation can be minimized by taking a milder potency or by taking the remedy in water. The selection of the potency will be based on the patient’s sensitivity as well as the intensity of the symptoms. What is a homeopathic evaluation? The homeopathic evaluation consists of an in-depth interview of the patient about his/her physical and emotional state. Not only will the patients’ symptoms be discussed in great detail, but many questions will be asked about characteristics which are not traditionally considered to be relevant (such as weather preferences, food desires and aversions). By taking into account the physical and emotional complaints as well as other traditionally non-medical characteristics, a homeopathic remedy which takes into account the state of imbalance of the patient can be determined. This evaluation may take one-to-two hours, depending on the complexity of the patient’s state. See the American Institute of Homeopathy website, www.homeopathyusa.org, to learn more about homeopathic medicine, to read about some of the research supporting the efficacy of homeopathic medicine, and to find other physicians trained in the use of homeopathic medicine. See the National Center for Homeopathy website, www.homeopathic.org, to learn more about homeopathic medicine or to join a national organization for anyone interested in homeopathy.